This incredible omnibus hardcover collects the 2005 event that rocked the DC Universe, including ACTION COMICS #826 and 829, ADVENTURES OF SUPERMAN #639 and 642, COUNTDOWN TO INFINITE CRISIS #1, DAY OF VENGEANCE #1-6, DAY OF VENGEANCE INFINITE CRISIS SPECIAL #1, JLA #115-119, INFINITE CRISIS #1-6, INFINITE CRISIS SECRET FILES 2006 #1, THE OMAC PROJECT #1-6, THE OMAC PROJECT INFINITE CRISIS SPECIAL #1, RANN-THANAGAR WAR #1-6, THE RANN-THANAGAR INFINITE CRISIS SPECIAL #1, SUPERMAN #216 and #219, VILLAINS UNITED #1-6, VILLAINS UNITED INFINITE CRISIS SPECIAL #1 and WONDER WOMAN #129. OMAC robots are rampaging, magic is dying, villains are uniting, and a war is raging in space. 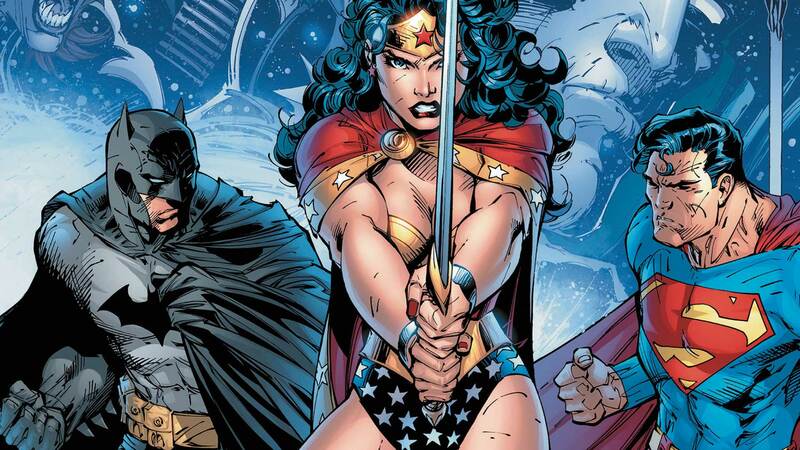 And in the middle of it all, a critical moment has divided Earth’s three greatest heroes: Superman, Batman and Wonder Woman. It’s the DCU’s darkest day, and long-lost heroes from the past have returned to make things right in the universe...at any cost.